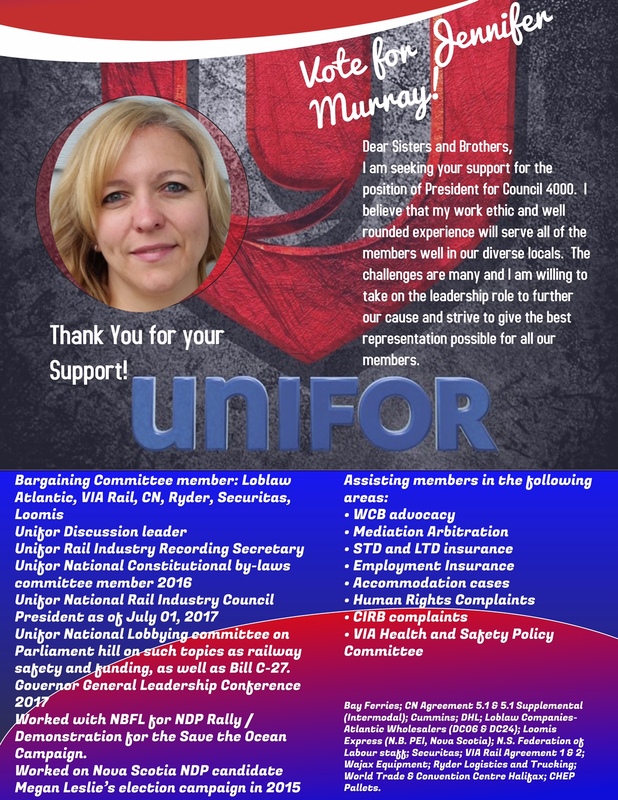 This is to advise that Unifor National Council 4000 – Locals 4001, 4002, 4003, 4004 and 4005 – will be conducting an election for the position of President for National Council 4000 for the remainder of the present three-year term. This election stems from National Council 4000 President Barry Kennedy being appointed as a National Representative for the National Union. 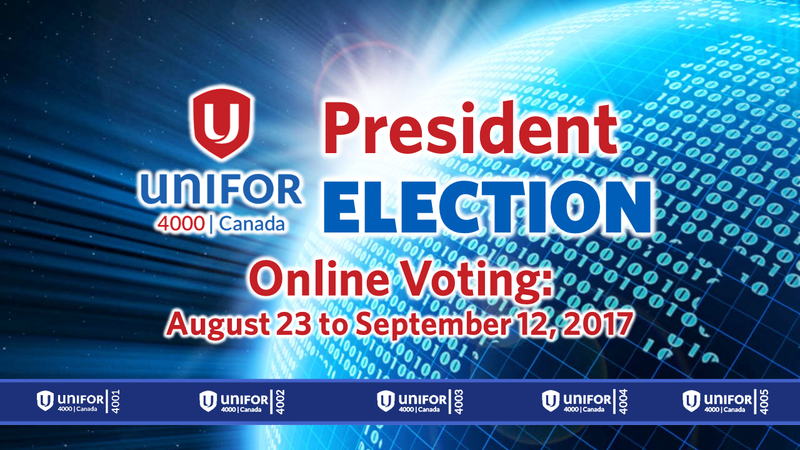 For the first time, Unifor National Council 4000 will be conducting this election electronically. All members will be registered to vote for the President and voting is now open by online ballot and will close on Tuesday, September 12, 2017 at 11:59 PM (Eastern). ﻿Click here for an example of the voting instructions that will be mailed to each member's residence﻿. ​Please contact your Local's Election Committee member listed below should you have any questions. Voting instructions have been mailed via Canada Post on August 22, 2017.